Eglantynes flowers are quite large and a beautiful formation - the petals turning up at the edges to form a shallow saucer filled with small petals. The bush is medium in height and bushy, with nice foliage and good disease resistance. 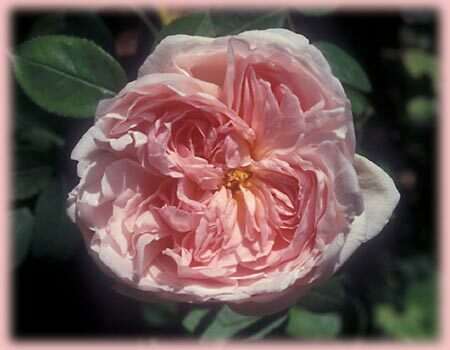 It is sweetly fragrant - a charming and delicate Old Rose scent. Eglantyne can be grown as a short climber and will reach 6-8ft. Named after Eglantyne Jebb, the Shropshire woman who founded the 'Save the Children' charity fund.